When the going gets tough, the tough go running! Or at that’s roughly how the old saying goes. Sometimes external and environmental factors prohibit said ‘toughies’ from going for a physical run in the great outdoors. In fact, most of the time they’re stuck behind their desks in dimly lit office spaces. Thank heavens for treadmills; LifeSpan ones to be exact! 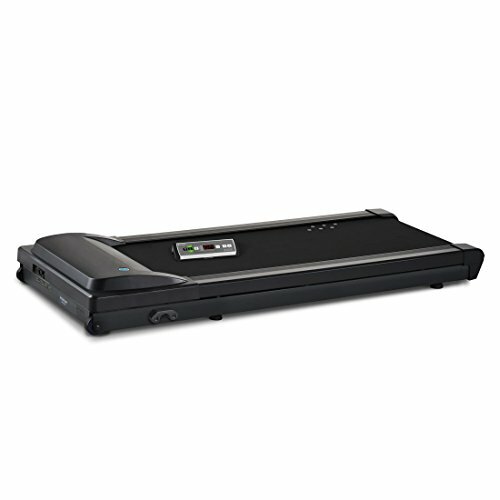 Today we’ll take a closer look at two of LifeSpan’s best of range under-desk treadmills: the TR1200 and the TR5000. LifeSpan is a fitness brand that specializes in the manufacturing and distribution of various exercise equipment. It’s best known for the very useful designs of under-desk treadmills and treadmills with office desks attached to them. LifeSpan brings the road to the office so that working professionals can get their daily exercise in even when they can’t physically go anywhere. Before we compare the TR1200 and the TR5000 against one another, let’s take a closer look at the specs of these office treadmills & what they can offer. The TR1200 features a 2.25 HP electric motor that works in high capacity and is incredibly quiet. The TR5000 is fitted with a 3.0 HP motor. Compared to the TR1200 this device is far more powerful and packs a more heavy duty punch. For individuals looking for a more high powered unit, the TR5000 would be the preference here. This would also be the unit most suitable for heavier individuals as the high powered motor can handle the weight. In terms of maximum speed ability both the TR1200 and TR5000 reach an impressive 0.4 to 4.0 MPH. This seems to be the standard maximum speed throughout the LifeSpan range. When it comes to maximum user weight, however, the two do differ quite significantly. The TR1200 can hold a maximum user weight of 350lb while the TR5000 unit can manage weights of up to 400lb. As earlier suggested, this is largely due to the more powerful motor in the TR5000 model making it able to handle greater mass. Both the belts on the TR12000 and the TR5000 hold the dimensions of 20” x 50"; Again, a range standard when it comes to the treadmills produced by LifeSpan. The control consoles on both the treadmills give the user direct access into the LifeSpan systems designed to deliver integrated office workouts at the touch of a button. It’s from here that they’ll also adjust the speed of the belt to their most preferable settings. Both the TR1200 and the TR5000 feature the same integrated workout systems. Using the control console you’ll be able to switch your workout between levels of low intensity and high intensity; depending on your desired experience. By increasing the intensity of the workout the treadmill will begin to simulate more of a hike-style activity. Lower intensity work outs are more representative of a regular walk on a flat pathway. The warranty clauses for the TR1200 and the TR5000 are the same as well, yet slightly complex. Check carefully what your problem is before you put in any claims to the company. The more affordable of the two, the TR1200, will set you back around $1,299 depending on your retailer. The TR5000 retails for around the $1,799 mark. It’s easy to see which is the budget (yet still high quality) option. Let’s dive into our reviews of each unit and see if this difference in price is warranted or if there’s really not that big of a difference. 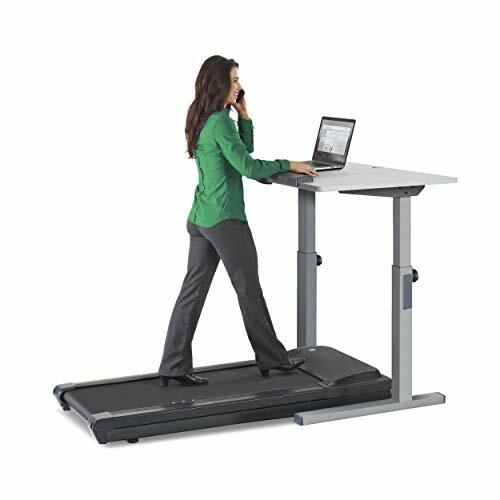 The TR1200 is more of an all inclusive unit because it comes with both the under desk treadmill as well as the actual desk attachment where the handlebars would usually be. This eliminates the need to provide your own desk in the office to work while exercising. 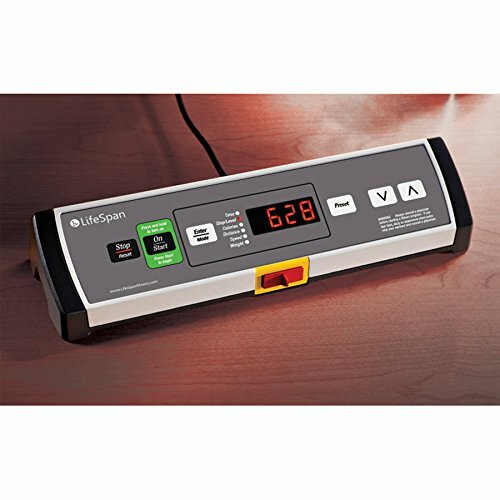 The treadmill also connects with your electronic devices via Bluetooth to relay messages back and forth. We appreciate that the unit overall is fitted with wheels to allow mobility around the office. This lets us know that multiple people could make use of the device in different spaces which makes it a worthwhile investment. Alternatively, moving it to where you want it in the house becomes effortless. The integrated desk also has the ability to filter power cords and laptop cables through the desk so there are no messy wires laying around to run aesthetics or affect safety. Coming in as the heavy duty unit of the two treadmills, the TR5000 features just the base piece alone. You would need to provide your own standing desk to utilize this one. The 3.0 HP motor makes the treadmill able to handle weights of great quantities, up to 400lb per use. This is significantly higher than the afore mentioned LifeSpan unit. Because there’s no desk piece, there’s no assembly required with the TR5000 and it's ready to use right out of the box. The lack of desk piece also makes the treadmill easy to store when not in use. We must mention that the TR5000 is incredibly quiet, which is great for an office environment in which other employees shouldn’t be disturbed. In the end, the TR1200 comes out as a better deal all round. With the inclusion of a desk despite being the more affordable of the two you really can’t go wrong. It’s time to bring your workout to work with you!